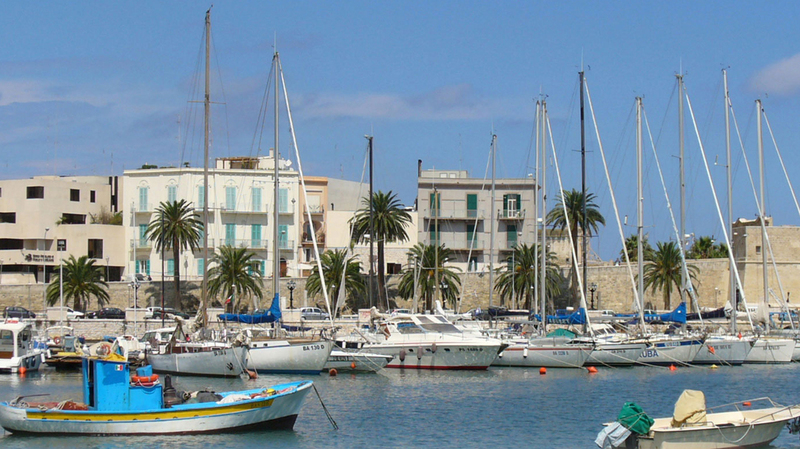 Search for the best flight prices from Manchester to Bari. Compare prices, book today and save money with Manchester Airport. Bari has blossomed in recent years to become one of the most prosperous cities in southern Italy, due to its unique combination of cosmopolitan cool and Mediterranean climate. While Bari’s Old Town maintains a distinctly Italian charm, there’s plenty of edgy charisma to be found throughout the city centre, making it a great destination for younger couples. Bari makes for an interesting stay as, no matter what your budget, nearly all the accommodation is based in the charming Old Town down by the palm tree-lined port. Palazzo Calo’s offers a true Old Town experience, combining old exposed stonework with minimalistic designer furnishings. Alternatively, families may want to consider the Villa Dafne on the beach or the quirky and colourful Viasparano. If you’re looking for some homemade pottery or wickerwork, Bari’s Old Town specialises in many of the famed Puglia arts and crafts – savvy shoppers should eye up what they want in the small workshops lining the streets and then head to the local markets to get the best deals. The Monday market is particularly good for deal hunters with a plethora of stalls displaying ceramics and other craft pieces. Those who would prefer a few edible keepsakes should look out for fresh olive oil as well as typical Italian preserved goods like salami and cheese. The star of Puglian cuisine is definitely seafood. The region’s unique location gives chefs the fresh tastes of both land and sea to work with, creating dishes from ingredients that are both fresh and delicious. The romantic vibe of PerBacco or the grand interior at Alberosole are ideal for special occasions. However, if you really want to sample some of south Italy’s finest home-style cooking, head over to a trattoria, such as Terranima or Al Focolare. This religious festival celebrates the arrival of St Nicholas’ remains from Myra (in modern-day Turkey) to Bari in 1087. The celebrations feature a parade of colourful boats re-enacting the arrival as well as flocks of pilgrims and plenty of fireworks. This two-week programme of classical music, set around a defining theme, is a prime event for culture lovers visiting Bari. It features a range of performances amid the stunning and historic venues throughout the Old Town including opera, orchestral groups and chamber music concerts. This festival honours the history and culture of the many countries that border the Med by bringing the diverse music and song of the Mediterranean to the city. It’s a great opportunity to sample the cultures of the Mediterranean nations, and even get ideas for your next trip abroad.